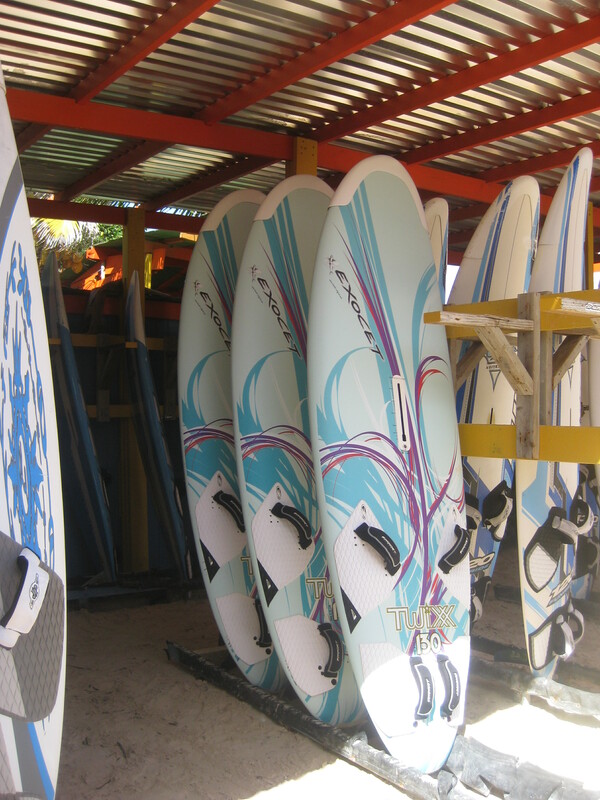 Jibe City has a large stock of 2012 windsurf gear rigged and ready. Bonaire has been experiencing their best steady winds of the year with the average sail size being 5.5 for men and 4.2-4.7 for women. It’s been a great holiday windsurf season so far. 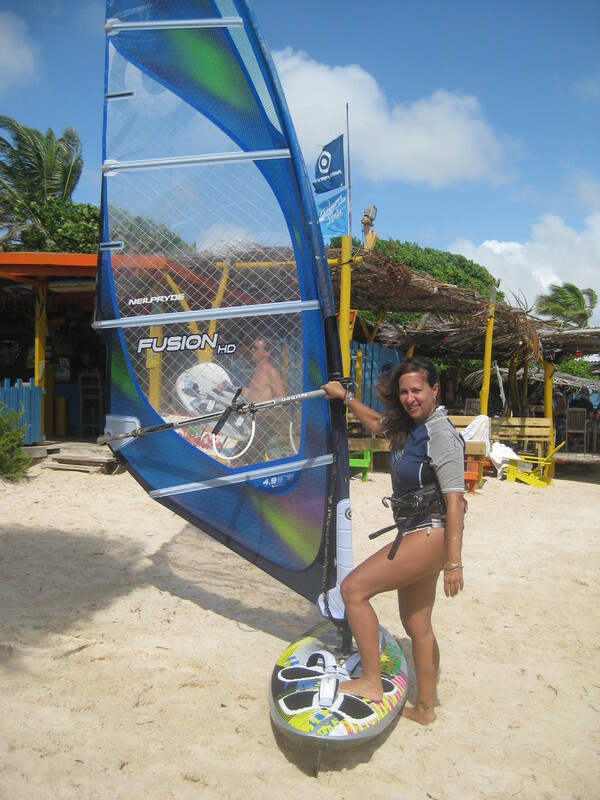 With brand spanking new year, it’s time to book your windsurf vacation. I recently demoed an amazing 99 liter JP Freestyle board. The graphics were cool but more important this is a sweet board. This light weight super wide board was a breeze to sail during a high chop session. I teamed the board up with a 4.9 Neil Pryde Fusion. It was a light sail with plenty of low end power to get up to a plane quickly. I didn’t full appreciate the sail as the wind conditions were a bit gusty but feel this HD version sail. Jibe City is staffed by a tight cohesive group of dedicated professionals available to rig and caddy your gear, lend some gear advice or to offer lessons to hone your skills. Jibe City is the official site of Andy Brandt’s ABK Boardsports School. On site is Hang Out bar serving refreshing drinks and libations as well as healthy and delicious food treats. Look for a more detailed gear review in next week’s blog post. Bon Anja, Happy New Year from Bonaire! 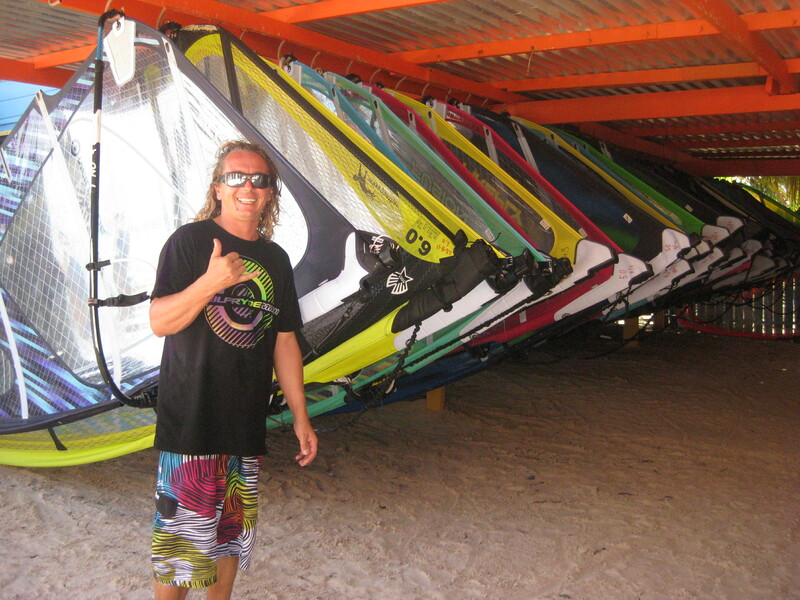 This entry was posted on December 31, 2011 at 4:29 pm and is filed under Windsurfing. You can follow any responses to this entry through the RSS 2.0 feed. You can leave a response, or trackback from your own site. Do they (Jab City) have a web site with the prices listed? Would you know if they also offer beginner classes?